5pb. 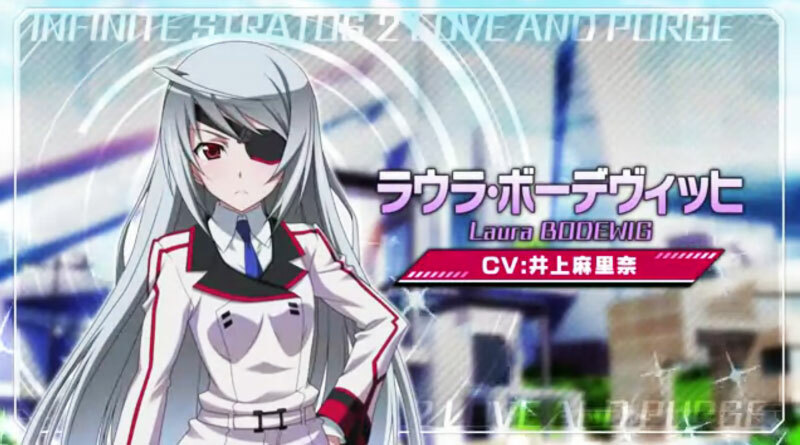 has released another character trailer for its upcoming visual novel and adventure game Infinite Stratos 2: Love And Purge, introducing Laura Bodewig. In Infinite Stratos 2: Love And Purge players can forge a relationship with the game’s heroines which will trigger new events. The adventure game features also a communication mode where the heroines will be massaged. If the massage is done well you will receive a reward in form of “Braveheart Points”. A failure results in loosing points and punishment.